Unlike thin film or wirewound resistors, Bulk Metal® Foil resistors owe their superior precision to the use of a special alloy foil, with a thickness of several microns, as the resistive element. Use of this metal foil as the resistance element provides superior performance not found in any other resistor technology. 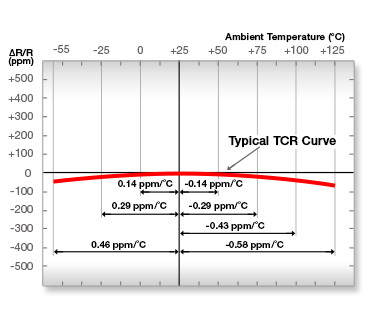 In particular the temperature coefficient of resistance (TCR) has been reduced to an unprecedented, extremely low level of 0.14 ppm/°C thanks to strict quality control of the alloy composition and a newly developed foil stabilization treatment technology. 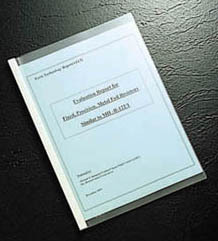 "Evaluation Report for Fixed, Precision, Metal Foil Resistors Similar to MIL-R-122/1, Parts Technology Report 61132 & 80819A"
Based on a NASA (U.S. National Aeronautics and Space Administration) evaluation report, Alpha Electronics` Bulk Metal® Foil Resistor has been approved for NASA space flight applications. Our Bulk Metal® Foil Resistors are currently used in the GOES weather satellites program, the MTSAT program, and the Cassini Saturn program. Copyright© ALPHA ELECTRONICS . All Rights Reserved.